These #82212352 removable Mopar roof rack cross bars are designed for Jeep Compass model years 2011 through 2016. 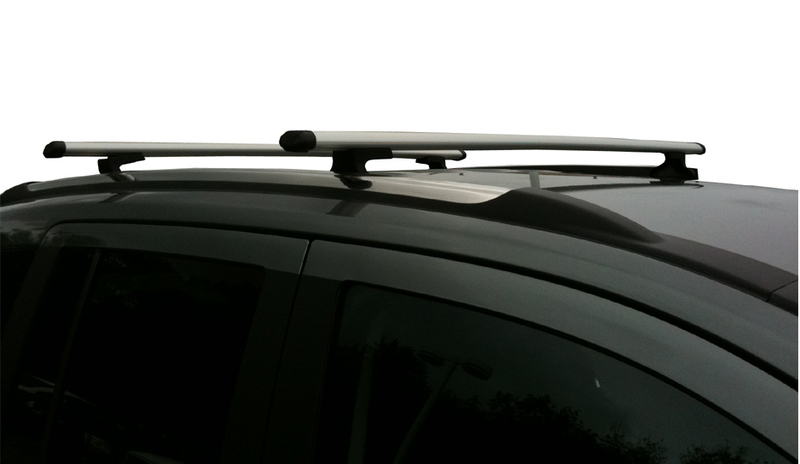 Each set of Jeep Compass roof rack cross bars will hold up to 150 pounds of cargo on the roof of your vehicle. The cross bars attack securely to all 2011-2017 Jeep Compass roof racks. "Installation was simple," one customer boasted after receiving his set. "The existing roof rails have pre-installed holes to receive the cross bar braces, and everything fit together nicely." Here's what another customer had to say: "The racks were exactly as described, and so far have held up every well for traveling with my kayak." All Mopar parts for Jeeps are original equipment manufacturer (OEM) parts designed specifically for your Jeep make and model. With removable roof rack cross bars, you can configure and reconfigure your Jeep's roof system to carry a large load of luggage on one trip and your favorite sports equipment on another adventure. That's an advantage when you know you'll be carrying different gear at different times of the year. The 150-pound maximum carrying weight means you can carry that heavy equipment, knowing it will remain secure on the roof of your vehicle. We carry dozens of mechanical parts, accessories and more designed specifically for your Jeep Compass. With our OEM Mopar Remote Start, you can start your Compass from as far away as 300 feet. We have replacement rear and front bumper molding, brake pads and brake light assemblies. Protect the cargo area inside your Compass with our WeatherTech brand cargo liner. Every part and accessory we sell lists the make and model year to ensure compatibility with your Jeep. Enjoy our easy-to-follow installation guides, too. Roof Rack Cross Bars are sold as a pair. they look great and cam with a rubber bearer that protects what is being put up top. Exact match to pre-existing holes. Simple installation with proper tools. ProsVery functional, saves space within vehicle when large items are transported. ConsSlightly cramped position to reach and tighten screws. 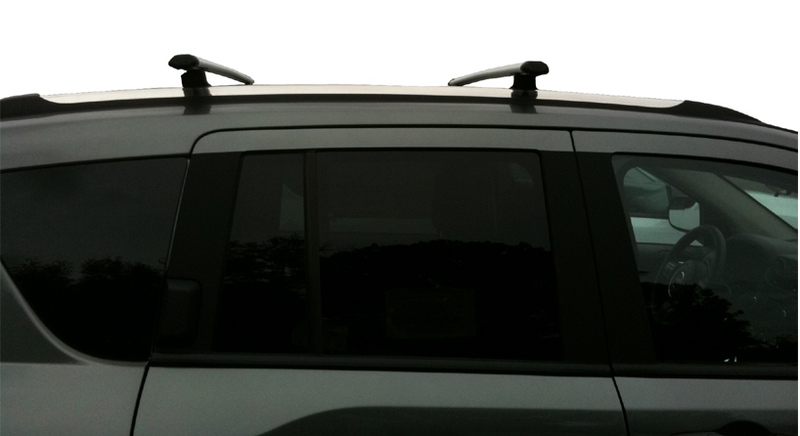 Roof cross bars for a Jeep Cherokee were a breeze to install and add a "tougher" look to the vehicle. Instructions were weak (but barely necessary) and using the supplied allen wrench would have made this a very time-consuming ordeal. Well made and solid once installed. The racks were exactly as described and so far have held up very well for traveling with my kayak. Assembly was fast and easy. I purchased the cross bars for my son, who drives a 2014 Jeep Compass. He is an avid kayak fisherman and wanted to add the cross bars to transport his kayak. Ordering and delivery worked out fine, and although delivery worked out fine (arrived four days after ordering), I didn't receive a confirmation of my purchase. I called them customer service line, and the individual I spoke to was courteous and helpful. When I mentioned the lack of a confirmation, he sounded surprised. It's possible I mistyped my email address. In any case, the cross bars arrived in good order with installation instructions. Installation was simple. The existing roof rails have pre-installed holes to receive the cross bar braces, and everything fit together nicely. When installing, it's necessary to take a bit of time to ensure the cross bars are centered on the top of the car, and if installing j-hooks or kayak wedges along with the cross bars, it is much easier to place them on the cross bars as a first step. My son has yet to transport his kayak, but I would say the cross bars are solid and secure on the top of the Jeep. There's no play or looseness at all. Overall, my pleased with the purchase and service. ProsEase of installation, fit to existing roof rails, quality build.